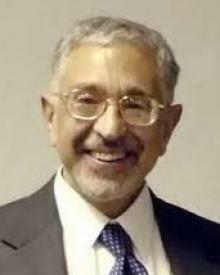 Dr. Calof is recognized as one of the leaders in intelligence and foresight. 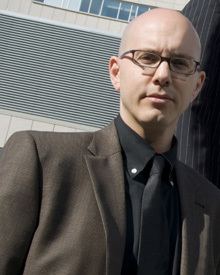 A full professor of International Business and Strategy at the Telfer School of Management at the University of Ottawa, Dr. Calof combines research and consulting in competitive intelligence, technical foresight and business analytics to help organizations develop key insights on their competitive environment. Jonathan has given over 1000 speeches, seminars and keynote addresses around the world on intelligence, foresight and analytics and has helped several companies and government agencies around the world enhance their capabilities on these areas. In recognition of his contribution to making fact based decision making a reality, Jonathan has been given several honours including Frost and Sullivan's life time achievement award in competitive intelligence; Fellow award from the Society of Competitive Intelligence Professionals; Honorary Professor at Yunnan Normal University in China; Appointment to the international advisory board for the Russian Foresight Committee of HSE; Honorary member of the Russian Society of Competitive Intelligence Professional; Board of advisors for the Centre en Intelligence Economique et Management Stratégique(CIE'MS/Center for Competitive Intelligence and Strategic Management in Morocco and Extraordinary Professor at North-West University in South Africa. He was also recently awarded SCIP's member of the year award for his influence on the practice and the field of competitive intelligence. Interest in his work has also resulted in several interviews on radio and in print around the world and has been featured in national publications as Forbes, Business Week, CIO Magazine, Financial Times, The National Post, Globe and Mail, Canadian Business, and others. He is a prolific author with over 150 publications to his credit. As well, Jonathan is the author and co-editor of several books on competitive intelligence including co-editor of the Competitive Intelligence Foundation's Conference and Trade Show Intelligence book. He also pens a column on event intelligence for Competitive Intelligence Magazine and is executive editor for Frontline Safety and Security. In addition to his involvement in the consulting and academic world, Dr. Calof is also a director with RoboCoder, a Canadian software company and Success Nexus, a Malaysian biofuel company. Recently Dr. Calof released the results of a global study looking at lessons learned from the largest corporate failure in Canadian corporate history. The study results have led to new tools and skills for boards of directors, measurements for organizational resiliency and understanding of how the black cloud of customer doubt begins how it can be measured and managed. He is also in the middle of a study looking at competitive intelligence practices around the world. In June 2013 I decided to take the role of Exec VP at AIAC so that I could continue to work an advocate for the whole space and aerospace sector in Canada. I am looking forward to learning my new role and in getting to know the wider aerospace community as we work with the government to get the key recommendations of the Emerson commission and the Jenkins report implemented. I spent the first 22 years of my professional career at Neptec Design Group. Having started in 1991 while still a graduate student in Ottawa when we had fewer than 10 employees, it has been my great pleasure to grow with the company through successive positions as the head of our (then much smaller) office at Johnson Space Centre, to being the first head of our Space Operations group, to leading the project to develop our first 3D laser camera, to heading R&D and then Business Development and since 2007 serving as Neptec's President and in 2010 as CEO. 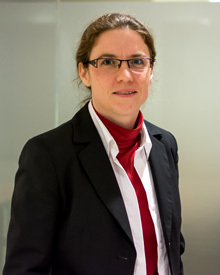 Lavagnon Ika is an Associate Professor of Project Management (PM). He holds an M.Sc. in PM from UQO and a PhD in business administration with specialization in Project Management from the Université du Québec à Montréal, a Montreal-based joint doctoral program with McGill, Concordia, and HEC Universities. Over the past 17 years, he has taught PM at the B.Com and MBA/EMBA levels in both the French and English, mainly in Canada but also in Europe, Africa, and the Middle-East. He has led a number of PM workshops in organizational settings and advised a number of project managers and senior business leaders in his consulting work. His clients include different federal government departments. He has supervised a few PhD students and a dozen M.Sc. students and sat on many MSc and PhD committees all over the world. His research topics include: what makes projects complex; what makes projects successful; why do projects fail and what can be done about it; and what is the role of project strategy, supervision and management in project success/failure. Besides his works on international development projects, Professor Ika has a genuine interest in project settings such as arts and culture, law, education, etc. as well as in strategy and in the foundations of PM Research. He is the author of almost twenty papers in peer reviewed journals as well as more than twenty conference proceedings. 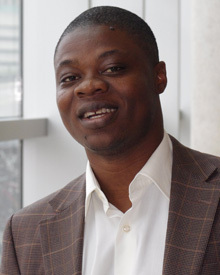 Professor Ika's work has been published in many journals including the International Journal of Project Management, the Project Management Journal, the International Journal of Managing Projects in Business, the Journal of African Business, and the International Journal of Project Organization and Management. He is a member of the Editorial Board of the International Journal of Project Management and of the Editorial Review Board of the Journal of African Business. He is the Project Management editor for the Open Access journals, the Taylor & Francis’s Cogent Business & Management and Mega Journal of Business Research. He received the Emerald Literati Network Awards for Excellence, Highly Commended Paper Award Winner in 2011 and Outstanding Paper Award in 2017, and the IPMA Research Contribution of a Young Researcher Award in 2012. Two of his papers are among the most cited papers in top Project Management journals since 2011. Many of his papers are praised by PM practitioners. For example, one is cited in a recent World Bank's concept note. 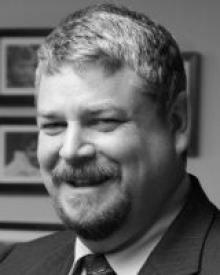 Dr. Lapierre's educational background is in industrial-organizational psychology and business administration. His research focuses mainly on two topics: Occupational health psychology and leadership. His work on the first topic has focused on the intersection of individuals’ work and family lives. He has strived to identify how organizational policies, individuals at work (supervisors and coworkers), employees themselves, and their families can each help them experience less work-family conflict, more work-family enrichment, and overall better health. In his work on leadership, Dr. Lapierre has been giving particular attention to relational dynamics between managers (supervisors) and each of their employees (subordinates). More recently, he has focused on the influence that individuals’ acts of followership can have on others’ leadership. Dr. Lapierre's research has been published in several respected scientific journals, such as the Journal of Management, Personnel Psychology, the Journal of Organizational Behavior, the Journal of Occupational Health Psychology, the Journal of Vocational Behavior, and The Leadership Quarterly, among others. He is past associate editor of the Journal of Occupational and Organizational Psychology and of the Canadian Journal of Administrative Sciences, and currently serves as Associate Editor for the Journal of Business and Psychology. He also sits on the editorial boards of The Leadership Quarterly, the Journal of Occupational Health Psychology, and Occupational Health Science. Dr. Lapierre is also a passionate and committed teacher. The University of Ottawa awarded him an Excellence in Education Prize for demonstrating outstanding teaching while maintaining a solid program of research. In this position, Mr. Eric Laliberté is accountable for the overall planning, direction and general management of the Space Utilization Branch of the CSA, whose mandate is the end-to-end implementation of the Earth Observation, Satellite Communications and Space environment elements of the Canadian Space Program. 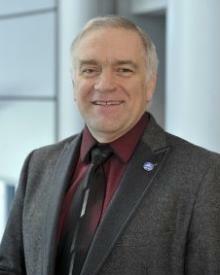 He is the CSA representative on the International Project Management Committee since 2011 working with other Agencies to develop the global space project capability. Mr. Laliberté joined the CSA in 2001 where he held various positions the most recent being Director of Space Exploration Projects and Director General of Space Science and Technology. Eric holds a Masters in Engineering Management from the University of Sherbrooke and a Bachelor’s degree in Mechanical Engineering with an automation specialty as well as a minor in administration from McGill University. He served 12 years as an Aerospace Engineering Officer in the Royal Canadian Air Force before joining the Canadian Space Agency. He was part of the Air Reserve for 10 years where he assumed the responsibilities of Quality Manager and of 438 Squadron’s Aircraft Maintenance Flight Commander. 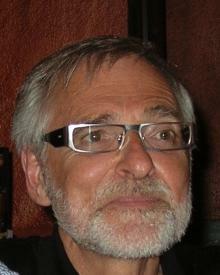 Peter Norman Levesque is a teacher, consultant, and non-profit executive based in Ottawa, Canada. After a successful career as a business entrepreneur, he was recruited to the Federal public service to design and implement innovative research and knowledge mobilization programs. 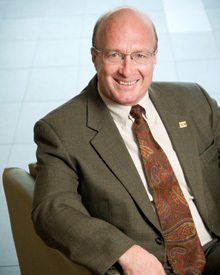 He has also served at the Children's Hospital of Eastern Ontario and as an executive on multiple non-profit Boards. He is the founder of several organizations and continues to explore new mechanisms to improve well-being. In 2015, he was knighted to the Order of St. John and works on palliative care of the homeless. Susie is an accomplished business executive with a diverse background that showcases successful OUTCOMES driven by negotiation strength. Known for her ‘off the charts’ energy and inter-personal skills she is highly sought after by clients from around the world. She is handpicked by global senior executives to “resolve the unresolvable”, lead high stakes negotiations and drive enterprise transformations. She provides negotiation strategy preparation, training and consulting, complex multi-party private and public sector work, strategic planning towards cross-cultural issues, executive team leadership, and training design. Prior to joining ENSI, Susie held top Executive and Management positions at business and marketing consultancies where she powered organizational change and enterprise transformation initiatives for her clients. Front line, hands on commercial negotiation experience includes attaining highly complex multi-year, multi-million/billion dollar contracts with Fortune 100's whereby long term fruitful relationships were a necessary part of the outcome. Susie is a frequent Guest Lecturer and Visiting Professor at the Business School level where the energy of the students invigorates. 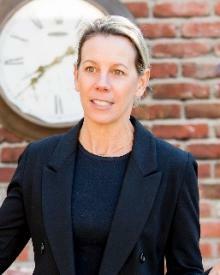 She is a judge at the annual negotiation competition in UC Berkeley. Michael Miles completed his doctoral degree in Human and Organization Systems at the Fielding Institute in Santa Barbara. He holds 2 management-related Master's degrees (in Organization Development and Organization Systems from Pepperdine & the Fielding Institute respectively) and one in Community Development (University of Alberta). Areas of his current research activity include international leadership practice and business strategy (focus on China and Thailand), comparative cross-cultural organization effectiveness, and the use of simulation to teach real-world business skills. Dr. Miles has implemented advanced management training and organization change initiatives as well as managed directly in the areas of staff and management development, human resource management, and organization effectiveness. Canadian clients have included Petro-Canada, Syncrude, Pratt and Whitney, Newbridge, Mitel, Alcatel, the Bank of Montreal, Bombardier Aerospace, the Conference Board of Canada, the Canadian Institute for Petroleum Industry Development (CIPID), the Canadian International Development Agency, and numerous other Departments of the Provincial Government of Alberta and the Federal Government of Canada. Ben Mills practices in the areas of civil litigation, administrative law and international trade with a particular focus on commercial disputes and public sector procurement. Ben regularly appears before the Ontario Superior Court, the Ontario Court of Appeal, the Federal Court of Canada and the Federal Court of Appeal. Ben has also appeared before a variety of administrative tribunals including the Canadian International Trade Tribunal and the Patented Medicine Price Review Board. Ben is recognized by Chambers Global and Who's Who Legal as a leader in the field of public procurement. In that regard, he advises clients on all aspects of federal, provincial and municipal government contracting, including strategic planning, bid preparation, contract negotiation, regulatory compliance, contract audits, bid challenges, access to information disputes and litigation. Ben has conducted litigation on behalf of clients in several of the largest dollar-value procurements in Canada over the past decade. Ben is also frequently asked to make presentations on topics related to government procurement. In addition, Ben has a broad range of litigation experience and has conducted litigation, at both the trial and appellate levels, in matters involving contract disputes, insurance disputes, defamation, tort liability, alleged breaches of fiduciary duties, and commercial litigation involving shareholder disputes. 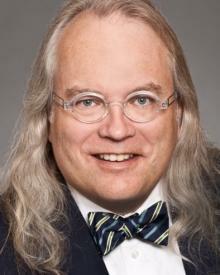 Ben is a member of the Advocates' Society, the County Carleton Law Association and the Law Society of Upper Canada. Ben was formerly a sessional lecturer at Queen's University teaching trial advocacy and public law advocacy. Dr. Nason is an Associate Professor of Finance at Dalhousie University in Halifax, Nova Scotia. He has been awarded several teaching awards including the A. Gordon Archibald Award for Teaching Excellence. His research interests are in risk management, complexity and financial education. Rick is a founding partner of RSD Solutions Inc., a risk management consultancy that specializes in financial and enterprise risk management for financial institutions, corporations and regulators as well as advanced training seminars on derivatives and financial mathematics. Rick is author or co-author of several books on finance and risk management as well as author of “It’s Not Complicated: The Art and Science of Complexity in Business” which is published by University of Toronto Press. In keeping with his interest in complexity Rick is an avid pinball collector and player. Valerie Noftle has taught both graduate and undergraduate courses in Communications at the University of Ottawa and is pleased to bring her expertise to the Telfer School of Management where she will be teaching Stakeholder Engagement and Crisis Management. With over two decades of extensive experience working with the federal government in a number of departments both at home and abroad, including National Defence, Treasury Board Secretariat and Global Affairs, Noftle brings a practical, hands-on approach to the classroom. Setting the optimal learning environment for her students where advanced knowledge and skills acquired can be applied directly to their own practice, Noftle incorporates an interdisciplinary approach to communications that is reflected in her academic background which includes three graduate degrees: in Law (Osgoode Hall), Journalism (Western University) and Political Science (Dalhousie University). As the senior member of the Energy Academic Group and a faculty member in both the Operations Research Department and the Business School at Naval Postgraduate School (NPS), Dan Nussbaum provides several critical functions. He teaches courses in Cost Estimating and Analysis, mentors students throughout their graduate coursework, including their master's theses, provides Cost Estimating and Business Case Analyses for Department of Defense organizations such as Department of Navy, Department of Air Force, Department of Army, and the Office of Secretary of Defense. He designs, develops and delivers distance learning courses in Cost Estimating and Analysis, especially the world's only all-distance learning Masters in Cost Estimating and Analysis. He chairs the NPS Energy Academic Group, and provides leadership to SECNAV Executive Energy Education program. Mr. Nussbaum’s teaching and research interest include: cost/benefit analyses, life cycle cost estimating and modeling, PPBES and budget preparation and justification, decision analysis, risk assessment, performance measurement, earned value management, activity based costing, total cost of ownership analyses. Dan Ross has extensive experience in leadership, management, policy, procurement, information management and strategic planning gained through various positions held with the Canadian Forces/Department of National Defence, the Privy Council Office, and Public Works and Government Services Canada. Mr Ross is currently a part-time Executive in Residence and Visiting Professor at the Telfer School of Management where he teaches Complex Project Leadership. 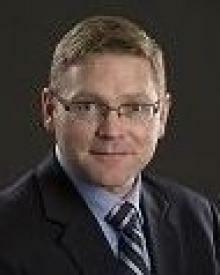 Mr. Ross was Assistant Deputy Minister Materiel from May 2005 to December 2012 with the Department of National Defence. As ADM Materiel he provided leadership and direction to a group of 4,400 military and civilian staff and was responsible for an annual budget of $5 – 6 billion. He oversaw the delivery of the largest re-equipping program for the Canadian Forces since the Korean Conflict and at the same time led an extensive series of projects to provide Canadian troops in Afghanistan with equipment and capabilities critical to improving soldier survivability and operational effectiveness. Prior to that appointment, he was Assistant Deputy Minister of Information Management in the Department of National Defence. From 2002 to 2003 he was Associate Assistant Deputy Minister of the Operations Branch of Public Works and Government Services Canada. From 1999 to 2002 he was Deputy to the Foreign Policy Advisor to the Prime Minister and Director of Operations for the Foreign and Defence Policy Secretariat at the Privy Council Office. Mr. Ross retired from the Canadian Forces in September 2002 after serving in uniform for 30 years and four days, having enrolled at a very young age. During his military career, Mr. Ross instructed gunnery at the Artillery School in Gagetown, New Brunswick, and commanded A Battery, 1st Regiment, Royal Canadian Horse Artillery in Lahr, West Germany from 1985 to 1987. He commanded the 2nd Regiment, Royal Canadian Horse Artillery in Petawawa, Ontario from 1990 to 1992, and was Commander Land Forces Western Area from 1997 to 1999. Mr. Ross graduated from the University of Saskatchewan with a Bachelor of Science degree in Mathematics. He is a graduate of the National Defence College, the Canadian Forces Command and Staff College, and the Canadian Forces Land Command and Staff College. He was a member of the Board of Directors of the Canadian Commercial Corporation from 2006 to 2012. Roger Reens is a Visiting Professor in the Complex Project Leadership program, Telfer School of Management, University of Ottawa. Prior to assuming that position he was General Counsel and Deputy Executive Director, Office of the Department of National Defense & Canadian Forces Legal Advisor (DND/CF LA), Ottawa from 2010 to 2015. He has over 30 years of experience dealing with complex legal issues in government contracting and procurement law and intellectual property law. He was Department of Justice counsel in the departmental legal services units at both National Defense and Public Works & Government Services, where he advised senior client officials to and including Ministers and senior officers in the Canadian Forces. He has also served as corporate counsel and as legal counsel in private practice. 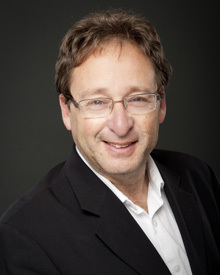 He has provided training to clients, as well as to professional associations and colleagues in a number of areas of law including contracting, defence procurement, green procurement, intellectual property, Crown law, Canadian International Trade Tribunal, Memoranda of Understanding, International Sale of Goods Contracts Convention Act, etc. Sandra Schillo focuses her research on improved methodologies relating to the measurement of innovation, entrepreneurship and their impact. Dr. Schillo has research and professional experience in the areas of science and technology, research and innovation management and entrepreneurship. Her professional work experience includes work completed for Industry Canada and many science based departments and agencies of the Canadian federal government. Dr. Schillo completed her doctoral studies at the Institute for Entrepreneurship and Innovation Management, University of Kiel, Germany. She obtained her Masters' degree in Engineering Management from the University of Karlsruhe, Germany, majoring in corporate strategy and specializing in innovation management and technology transfer. 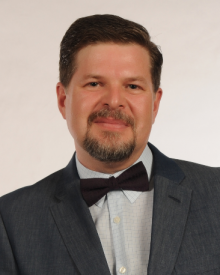 Stephane Tywoniak is associate professor of Complex Project Management at the Telfer School of Management, University of Ottawa (Canada), and the Academic Director for the Executive Master in Complex Project Leadership. He has over twenty years' experience teaching strategy, systems thinking, entrepreneurship and project management. His academic coordination track record includes: Founding Member, Executive Master in Complex Project Management (Queensland University of Technology (QUT), Brisbane, Australia, 2007-2012), Academic Director Executive Master in Complex Project Management (QUT, 2012-2014), MBA Director (QUT, 2014-2015), PhD Coordinator (QUT School of Management, 2008-2010); Project Management and Entrepreneurship Master's majors (La Rochelle Business School, France 2015-2016). He has extensive experience in executive education and consulting with major project-based organisations in government and industry (Australia, UK, Canada, USA). From 2015 to 2018, he was Academic-in-Residence with the International Centre for Complex Project Management (ICCPM. Canberra, Australia). 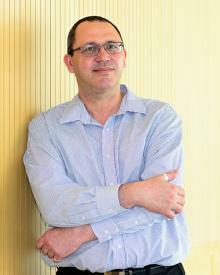 Professor Tywoniak’s research is focused on project complexity and uncertainty; and organizational project management. Major research projects include: managing knowledge in project-based organizations, studying the evolution of PMOs, and characterizing complexity in and of projects. His research is featured in leading scholarly publications, including International Journal of Project Management, Project Management Journal, Organization, and the Cambridge Handbook on Organizational Project Management. P.M. Vasudev, who joined the University of Ottawa in January 2011, specializes in business law. With his record as a corporate lawyer of longstanding in Bangalore, India, Vasudev brings rich professional experience to teaching. Prior to joining the University of Ottawa, Vasudev was Senior Lecturer in Commercial Law at The University of Auckland Business School, New Zealand. 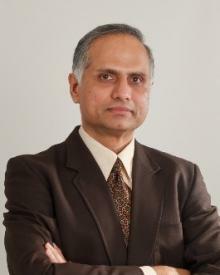 P.M. Vasudev's research interests include: corporate governance, and the business corporation as a socioeconomic institution; securities markets; credit derivatives and financial engineering; law-and-economics; institutional engineering; regulation, deregulation, and reregulation; history including legal history; philosophy, including the philosophy of economic pursuits; business, the state, and public regulation; and expressions of interest for graduate research work in these areas are welcome. P.M. Vasudev has presented papers at academic conferences in the U.S., Canada, Australia and New Zealand. His writings have appeared in leading journals including Journal of Business Law, McGill Law Journal, Banking & Finance Law Review, Journal of Corporation Law and American Journal of Legal History.